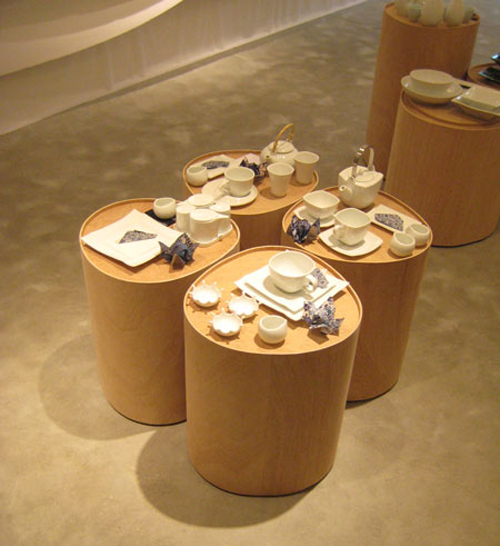 ‘t Japanse Winkeltje (in English: little Japanese shop) in Amsterdam is a gallery space, shop and Japanese culture centre housed on three separate floors. Amsterdam based NEZU AYMO Architects have provided this shop with a total makeover, creating a playful interior with tactile qualities, surprising use of materials and a subtle sense of japaneseness. The interior walls and ceilings on all floors are covered in natural materials. 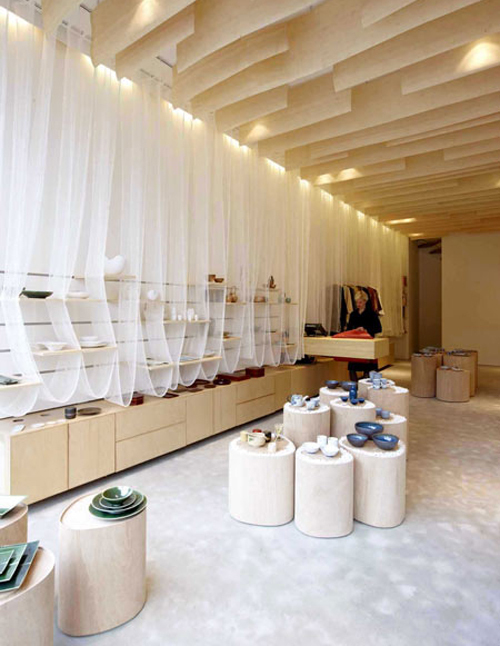 One side of the shop features undulating fabric shelves and on the other side loops of white mesh made of paper yarn soaked in rice water surround the wooden shelves. I love the idea of suspending the individual sheets of wood veneer from the ceiling. I can imaging how striking it would be undulating in a gentle breeze. It would be a great way to add some warm, natural, texture to a vaulted ceiling as well. Just imagine the layers of wood cascading from the peak of the ceiling. Lovely. Delightful. I love the airiness and soft interior. This is cool and artistic!